This book defends an account of the positive psychological, ethical, and political value of simulated human experience. Philosophers from Plato and Augustine to Heidegger, Nozick, and Baudrillard have warned us of the dangers of living on too heavy a diet of illusion and make-believe. But contemporary cultural life provides broader, more attractive opportunities to do so than have existed at any other point in history. The gentle forms of self-deceit that such experiences require of us, and that so many have regarded as ethically unwholesome or psychologically self-destructive, can in fact serve as vital means to political reconciliation, cultural enrichment, and even (a kind of) utopia. The first half of the book provides a highly schematic definition of simulated experience and compares it with some claims about the nature of simulation made by other philosophers about what it is for one thing to be a simulation of another. The author then provides a critical survey of the views of some major authors about the value of certain specific types of simulated experience, mainly in order to point out the many puzzling inconsistencies and ambiguities that their thoughts upon the topic often exhibit. 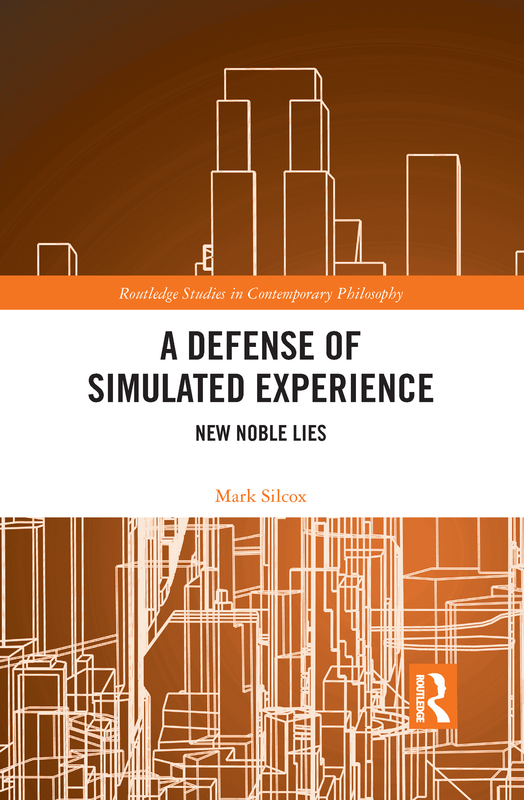 In the second half of the book, the author defends an account of the positive social value of simulated experience and compares his own position to the ideas of a number of utopian political thinkers, as well as to Plato's famous doctrine of the "noble lie." He then makes some tentative practical suggestions about how a proper appreciation of the value of simulated experience might influence public policy decisions about such matters as the justification of taxation, paternalistic "choice management," and governmental transparency. A Defense of Simulated Experience will appeal to a broad range of philosophers working in normative ethics, aesthetics, the philosophy of technology, political philosophy, and the philosophy of culture who are interested in questions about simulated experience. The book also makes a contribution to the emerging field of Game Studies. What Is a Simulated Experience?